Today more than ever pest control management particularly in the commercial food industry is highly regulated. Our pest control programs not only protect public health and safety, they also protect you against a hefty claim for non compliance. As a result of stricter regulatory governance, many commercial clients are looking for a superior level of customer care. Not to mention a greater level of service transparency where they can see real time proof that the pest control service they are paying for is actually being delivered. 24/7 Pestrends Online provides all these advantages in one easy and convenient online pest reporting system. The benefit to you is that you can log in anytime and monitor the latest service data which has been collected at all pest control stations strategically placed around your property. 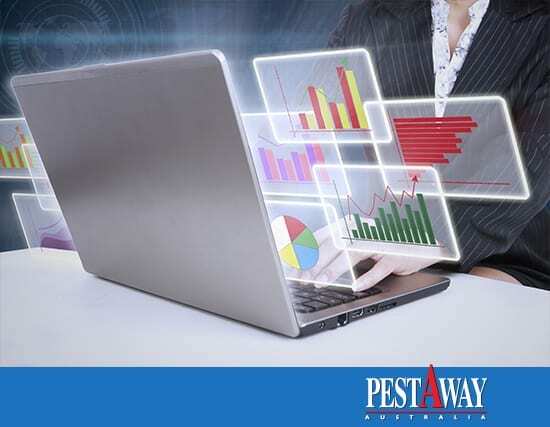 Not only can you review incredible detail, we also provide you a general overview for historical pest trend data. As a result, you will have peace of mind knowing that the pest control program is actually working. The best part of our online reports is they are an easily accessible source of compliant evidentiary documentation for auditors. The information is presented in a meaningful and organised manner. Consequently, you can relax knowing that part of your business is taken care of.